Enjoy Old Spanish flavor, multicultural heritage, parks, Riverwalk and the Alamo during a holiday visit. Today arrive in San Antonio, the Alamo City, and transfer to your downtown hotel for a four night stay. The city's old-spanish flavor, multicultural heritage, numerous parks and plazas, and the Riverwalk make it one of America's more intriguing cities. 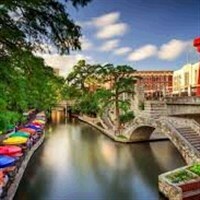 The Riverwalk (Paseo Del Rio) is a fabulous loop off the San Antonio River offering tree-lined footpaths, craft shops, galleries, restaurants and nightspots. This evening enoy a Welcome Dinner with your traveling companions. Today is at leisure to enjoy San Antonio on your own. Maybe visit the Rivercenter Mall for some holiday shopping, relax while sipping a margarita or savor a Tex Mex enchilada while enjoying the sights and sounds of the wonderfully decorated Riverwalk. Maybe join an optional tour to the beautiful capital of Texas, Austin. 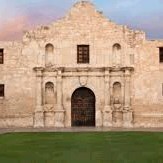 The excursion features an Austin City Tour to see the State Capital, a visit to the LBJ Library & Museum at the University of Texas and the Bullock Texas State History Museum to learn the continually unfolding "Story of Texas." This evening enjoy dinner on your own at one of San Antonio's outstanding restaurants. Today travel to the Hill Country of Texas and take in the scenery. The first stop will be in Stonewall for a tour of the LBJ Ranch, the former home of the 36th Prresident, Lyndon Baines Johnson. 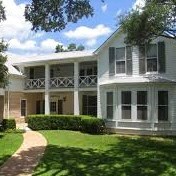 The tour includes a reconstruction of the farmhouse where LBJ was born and his ranchhouse, referred to as the "Texas White House." Next visit the German settlement of Fredericksburg which retains touches of Old World Heritage. 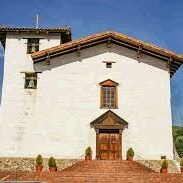 Enjoy time on your own in this quaint town to wander the shops, grab a meal or visit the WWII Museum. Tonight enjoy a Farewell Dinner at a popular local restaurant in San Antonio. Later wander the Riverwalk to experience the Fiesta de las Luminarias, which features thousands of candles illuminating the Riverwalk. This morning transfer to the airport for your flight home filled with many pleasant memories of your San Antonio Holiday Tour. Includes: Roundtrip airfare from Pittsburgh International Airport, four breakfasts, two dinners, tour director, sightseeing and admissions per itinerary, motorcoach transportation, hotel transfers, four nights in a First Class Hotel and baggage handling and taxes. Walking Code 3: This tour includes moderate physical activity. The itinerary blends some longer days with shorter days and more liesure time. Walking tours, as well as walking slightly longer distances, up stairs or on uneven walking surfaces should be expected.